Non-members welcome! Set in the Scottish Lowlands, the site is a perfect base for exploring Scotland. 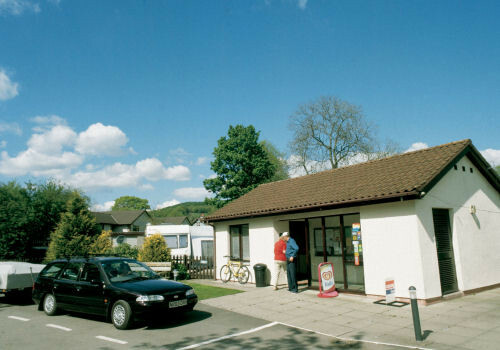 The local village of Moffat has won awards for the Best Kept Village in Scotland". Local attractions include superb golf and fishing. A visit to the 300 year old Drumlanrig Castle is a must. Take Moffat sign from A74. After approx.1 mile turn right by the Bank of Scotland, then right again after 200 yards. Look for site sign on right.